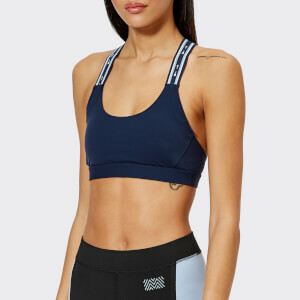 The ‘Stronger for It’ bra top from adidas by Stella McCartney uses Climacool and Climalite technologies to keep you cool and dry whilst on the move. 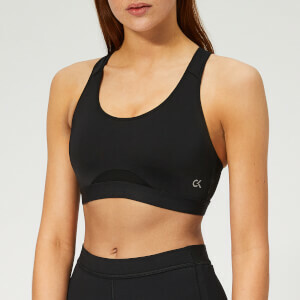 The black sports bra comprises a tight fit with moulded cups and adjustable shoulder and back straps for ultimate support. Mesh panels and a perforated under bust band enhance breathability. Completed with a printed logo badge.